This page tells the story of the Complete Suffrage Union, a haven for reformers who shrank from the militancy of Chartism but, under the leadership of Joseph Sturge, made the same demands. Joseph Sturge (pictured right) is best remembered as an ardent opponent of slavery. He travelled extensively to investigate the conditions of slaves and organised the world’s first anti-slavery conference in 1840. There is even a Sturgetown in Jamaica, founded in 1840 for freed slaves and named after him. But Sturge’s well-intentioned intervention in the Chartist cause was both less well received and less successful. Sturge first became involved in Chartism as a Birmingham aldermen when, in July 1839, London police were brought in to break up the supporters of the Chartist National Convention then meeting in the town. Rioting ensued and, as a 1919 biography of Sturge recalls, he “frequently interposed in person to calm the excitement of the Bull Ring crowds”. Sturge subsequently chaired a town council inquiry into the riots which attributed a large share of responsibility to the actions of the police. Struge returned to his work on slavery, but while touring the United States in 1841 appears to have become increasingly interested in franchise reform. Back in England, he attended a meeting of anti-corn law campaigners in Manchester in November 1841, and from that gathering organised a conference, chaired by Francis Place, at which he proposed a movement to secure for the people “the fair, full, and free exercise of the elective franchise”. According to Hobhouse, “a declaration of faith was drawn up, a central bureau was established in Birmingham, and signatures of electors and non-electors flowed in from all parts of the country”. The new organisation drew support from “moral force” Chartists such as Henry Vincent, Arthur O’Neill, William Lovett, and Bronterre O’Brien, and by March 1842 50 or 60 towns had formed Complete Suffrage Unions. A conference of 87 delegates in April of that year, presided over by Sturge, agreed to set up a National Complete Suffrage Union. It adopted all six points of the People’s Charter – but was silent on using the name of the Charter itself. It was over this issue that the CSU and the National Charter Association would eventually split. Meanwhile, in May 1842 Sturge stood for Parliament at Nottingham, where the two Whig MPs had been unseated for bribery. He lost by 1,885 votes to 1,801. However, the wave of strike action which swept the country that summer, often linking the pay issues underlying the strikes with demands for the Charter, frightened away the CSU’s more cautious members, and led to the arrest of Feargus O’Connor and the leaders of the National Charter Association. The scene was now set for a conference in December 1842 which aimed to reunuite the two wings of the movement, but which ended in acrimony and a permanent split between the largely working class radicals of the NCA and the more middle class reformers of the CSU. 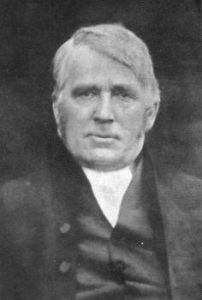 After the conference, Sturge continued to speak on the franchise at public meetings in Hull, Halifax, Huddersfield and Derby while Sharman Crawford kept the cause alive in Parliament. Working class radicals, however, were returning to the National Charter Association fold, while middle class reformers began to focus their efforts on corn law repeal. After July 1844, when Sturge stood again for Parliament, this time in Birmingham, and managed fewer than 350 votes, the National Complete Suffrage Union was wound up. 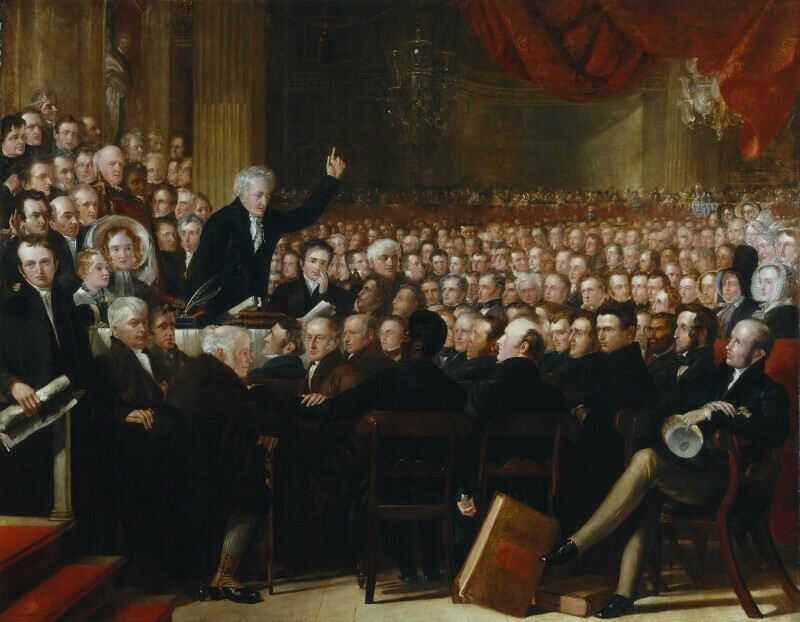 The National Portrait Gallery has a number of pictures featuring Joseph Sturge, including both individual portraits and a painting of the Anti Slavery Convention of 1840.